Brought in for a bottom end refresh with new bearings, crankshaft polish and mapping this conversion has a 3″ full exhaust, CSRacing full height front mounted intecooler, forged pistons, steel rods, external swirl pot and high pressure fuel pump set up and a Garrett GT3076R and TiAL external wastegate and hit 500bhp after mapping and rolling road set up. The Revolution Millennium wheels with Nankang NS-2R tyres finish the car off, and the power makes the K Sport 330mm 8 pot calipers work hard backed up by suspension from Weitec by KW and a full roll cage further stiffens the chasssis. It now boasts Methanol injection and has been mapped to 540bhp and was the Class B winning car at Thunder Road 2015. Another big power Z20LEH engine undergoing mapping this week, this time in a Zafira VXR making it a pretty quick 7 seater! 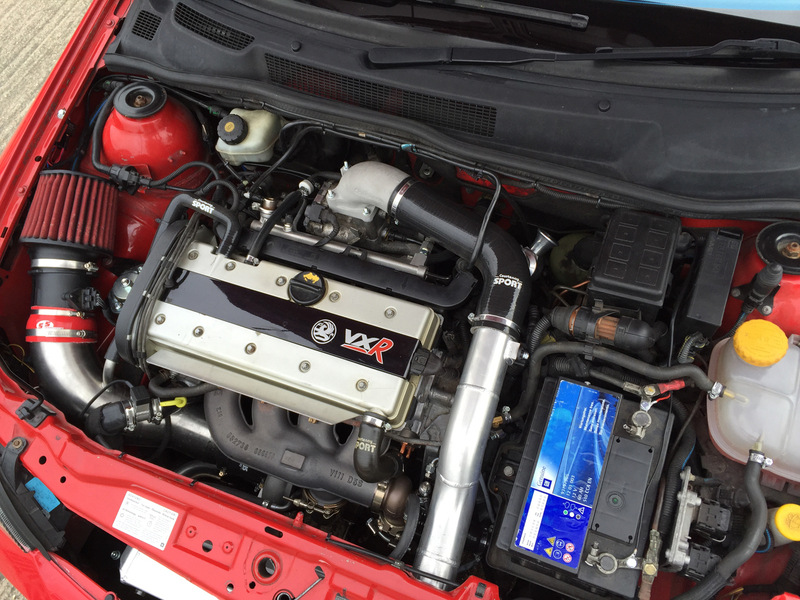 Pushing around 430bhp from a Garrett conversion, with 3″ exhaust, Courtenay Klasen Cams, Nortech tubular manifold, Owen Developments GT28 71 HTA turbo, 630cc injectors, steel rods, Pro Alloy alloy water radiator, 356mm K Sport brakes, Quaife LSD. A very respectable figure for a hot summer’s day on the rollers. 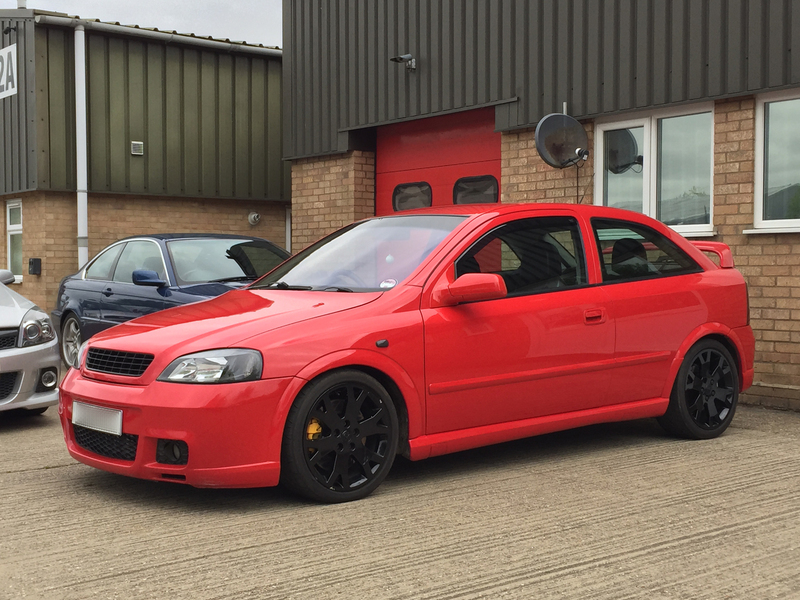 Last month’s Total Vauxhall saw a fantastic 8 page feature on Wayne’s 479bhp Courtenay modified Astra VXR. The spec and cover are a few posts down on our blog. For those of you who missed it, here is the article in full. For those who didn’t relive it again!! Just click on the image below to open up a pdf file of the original article (you will need a pdf reader installed to view). Courtenay Sport Garrett Conversion. 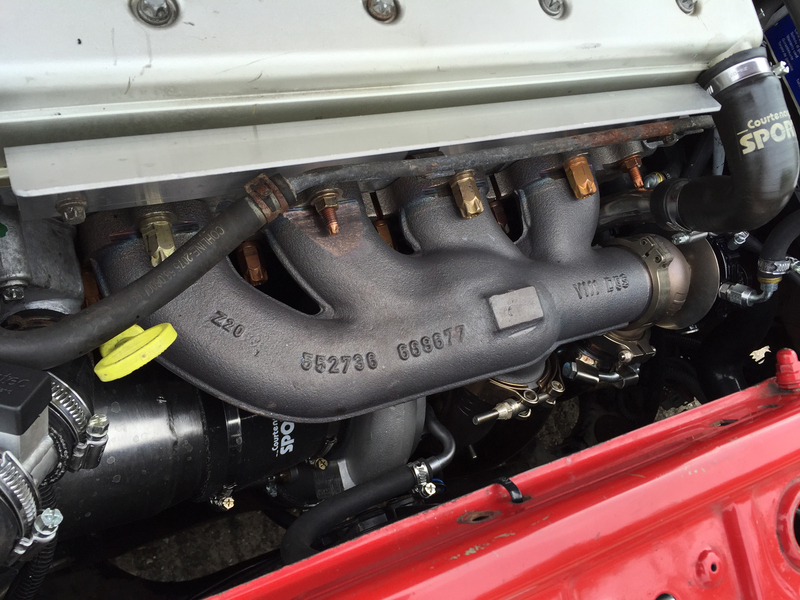 The brief was to achieve 420bhp with Garrett GT3071 turbo, tubular manifold, 76mm exhaust, 80mm air flow meter, 630cc injectors and Courtenay Sport Full Height Intercooler. 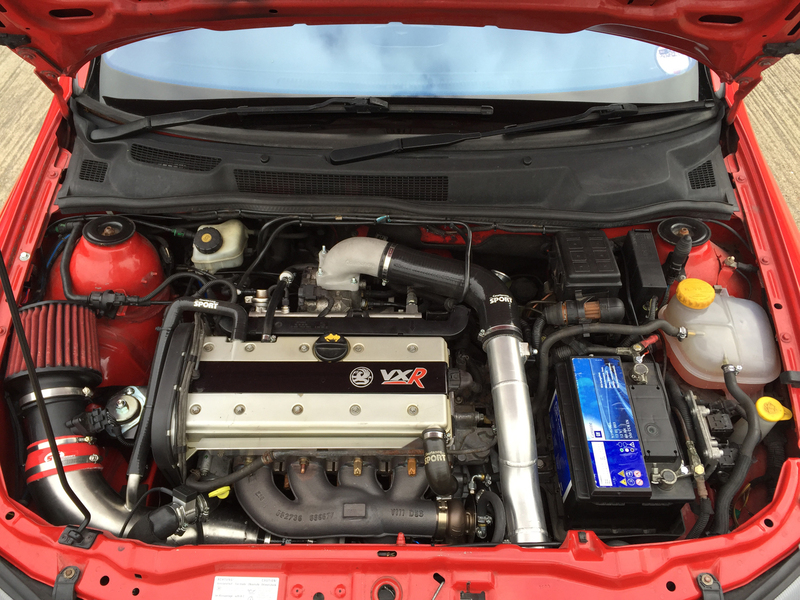 The 80mm Astra VXR is maxxed out at around 420bhp so the achieved figure was the best achievable using the given components.